It is no secret that special education comes with it's own bag of tricks! Every year is completely different, and what worked last year just might not work this year! Every kid in special education is unique and learns in a different way. It may be years until you see a kid that is similar to another that you have taught before. With this in mind, it's really hard to "reinvent the wheel" every year when you get a new batch of unique learners. This is where Teachers Pay Teachers comes in VERY HANDY! 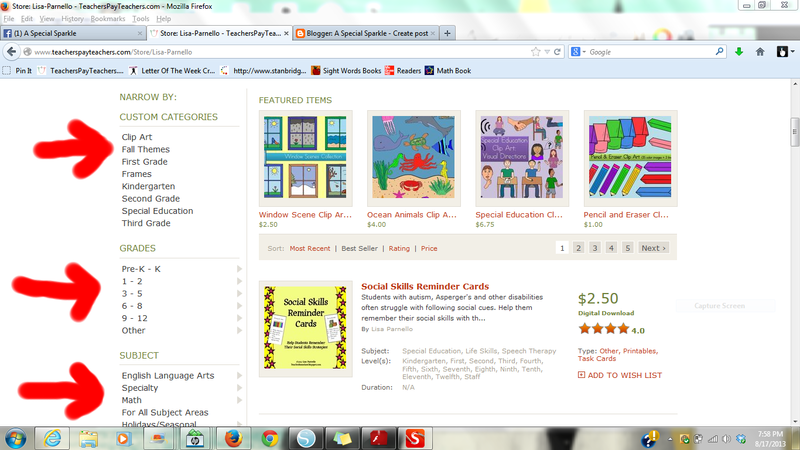 There are many special education teachers on TPT and we can often get great resources from each other. It's nice to know these products were made by teachers and used in real classrooms! I know for a fact that my authors on A Special Sparkle have some great resources! I have bought from and swapped teaching materials with the amazing girls who collaborate to create A Special Sparkle. If you don't know about Teachers Pay Teachers...you should! It's a great way to get all sorts of resources! 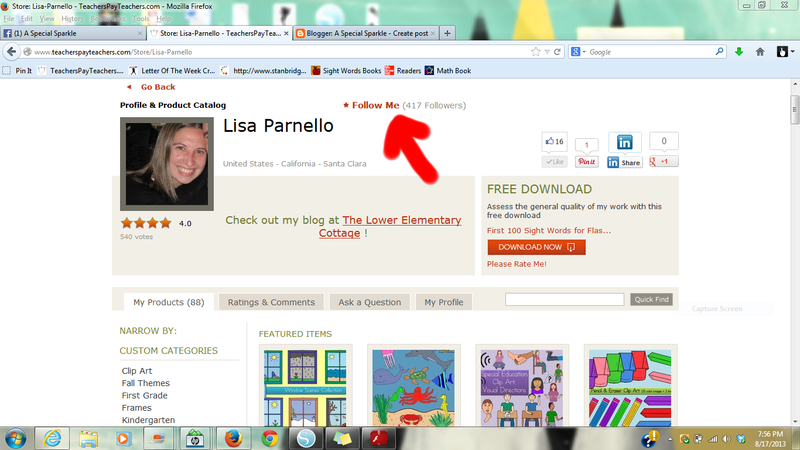 you can find your favorite teacher-sellers and "follow them" to see when they add new items to their stores. I know I have some favorites that somehow every thing they create is just amazing! I spend so much time working and planning, but sometimes I need something right now! And that's where TPT comes in! Browse around and find a seller that you enjoy. Here is a screen shot of my page. You'll see at the top is the red phrase Follow Me and after you click there, you'll receive updates when your favorite sellers add new things, have sales, or post freebies! 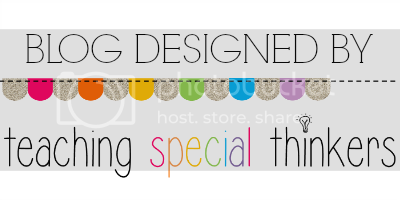 One of my favorite parts of TPT is the categories side bar! I know some of my favorite sellers have both clip art and teaching materials and I don't always need both. Or some sellers are like me and teach multiple grade levels, so I can select just the age range I'm looking for that day. Some days I want first grade, other days I may just want 2nd grade stuff. The categories really help me find just what I'm looking for! Here are the stores for our Sparklers! Yesterday I put the word out on our Facebook page to find out some of the other great special education authors! Here they are! Thank you so much for stopping by! What are your favorite things to look for on TPT? ?